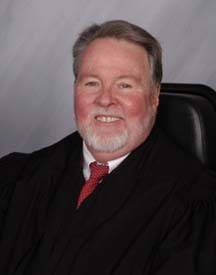 Funeral Mass was held for Judge Patrick Flanagan (1953-2017) on October 12, 2017 at Our Lady of the Snows Catholic Church, Reno, Nevada. Bishop Gene and Radhelka Savoy attended the service. Flanagan, chief judge of Washoe County District Courts, was an acquaintance of Bishop Savoy and much admired by him. His legal career began after graduation from California Western School of Law in 1978. Moving to Reno after graduation to work as a Washoe County Appellate Public Defender. As a Federal Public Defender he appeared in front of the US Supreme Court in Sumner v. Shuman (1987) and numerous Ninth Circuit court appearances.